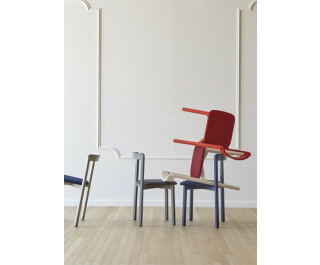 Alma is a wooden chair with a warm personality that offers a touch of humour to the environment. Sensitive to colours, it reduces the excess of shapes to give value to an ‘ordinary’ object. Stackable up to 4, it is suitable for both contract and retail.